After the break for international matches this October, FC Barcelona will face a hectic schedule of having to play seven games in little more than three weeks, virtually a match every three days. After the duels against Athletic Club, Tottenham and Valencia, Barça resume the domestic competition this Saturday, October 20, against League leaders Sevilla FC, at the Camp Nou (8.45pm CET). Just four days later, the team will receive Inter in the Champions League. Spalletti’s team are second in the group and, for now, are Barça’s rival for first place in group B. Another four days later, on October 28 (4.15pm CET), Real Madrid will visit the Camp Nou. 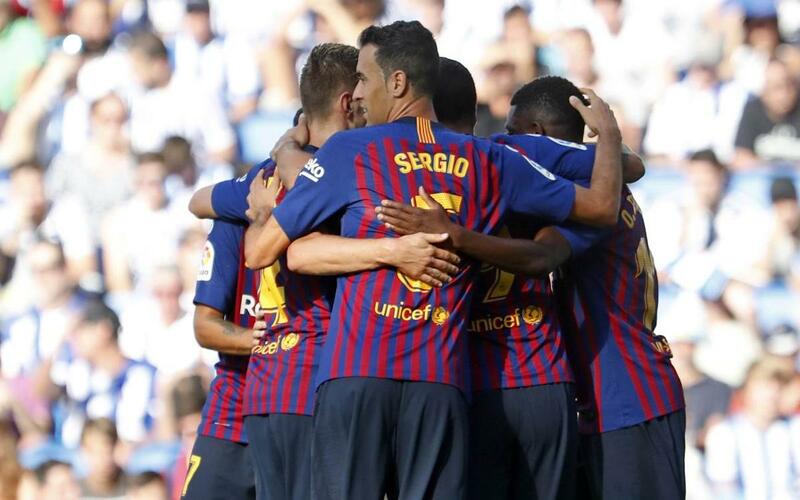 Their first Copa del Rey match follows on either October 31 or November 1, the draw to determine Barça's opponents taking place this Friday, October 19. Then the Blaugrana have two away games consecutively. The first trip will be to Vallecas to visit Rayo Vallecano, on November 3 (8.45pm CET); The second duel will be at the Giuseppe Meazza against Inter on November 6 (8.00pm CET). Real Betis, a very dangerous opponent, will visit the Camp Nou on November 11 at 4.15pm CET, which will be the last match in this intense period. Therefore, the team faces a stretch of competition with very little time for recovery between each game.